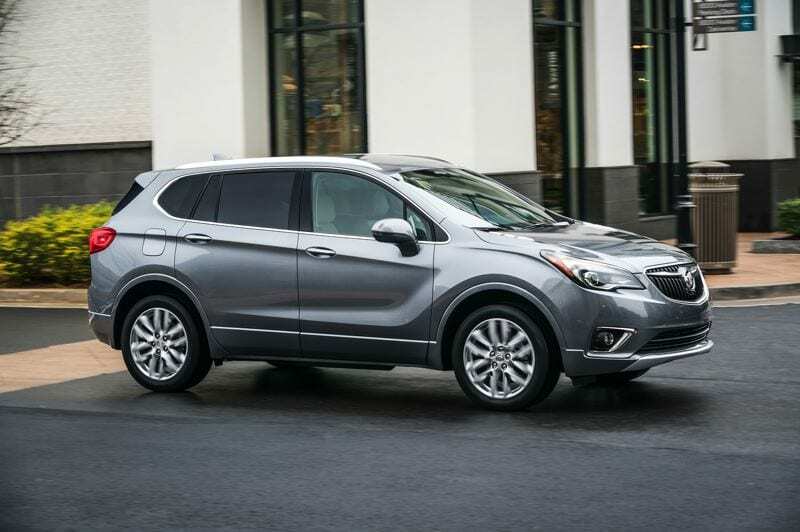 The new 2019 Buick Envision AWD Premium II is the compact SUV that’s loaded with features that every driver needs—intelligent innovations, impeccably tailored interiors and top performance underneath the hood, all at an affordable price. One of Envision’s many standard features includes heated front seats that are eight-way power adjustable and include power lumbar support. But when the temps heat up, cooled front seats are offered on the flip side. Clearly, there is more to Envision’s available French stitched, perforated leather-appointed seating than meets the eye. Passengers seated in the rear can also sit back and relax thanks to Envision’s sliding second-row seating with adjustable recline. They also have access to power ports for smartphones and other personal devices. QuietTuning Technology with Active Noise Cancellation uses triple door sealing, acoustic laminated glass in the windshield and front windows, specific suspension tuning and many other measures to help reduce, block and absorb unwanted noise. So, you can enjoy conversations with your passengers, quiet time for yourself or fully appreciate the audiophile-caliber sound from the available Bose ® premium audio system with seven speakers and amplifier. Envision easily transforms from a five-person SUV thanks to the 60/40 split rear seats that fold flat to expand cargo space. And there’s a Rear Vision Camera shows you grid lines and live images of what’s behind you on the 8-inch diagonal infotainment screen.